I'm Feeling Lucky Button, What Is It? It is a treat from Google search engine home page.Most of them ignore n dare to click unwanted queries .If anybody there,please..do it Punk !! 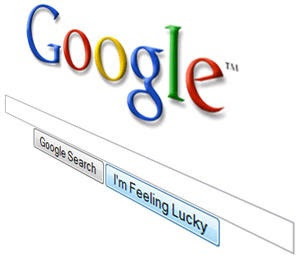 Go to Google and click “I'm Feeling Lucky” (without entering a search term) to get an unexpected treat. Google is increasingly drawing attention ... Its an animated one.Changes according to contemporary circumstances.Click something different!